... which can be scanned and included in a web-address so that you can get a second opinion already in the store. A wiki site where products are stored under their barcode number. This will hopefully describe the product in a less biased way than the manufacturers own description of it. 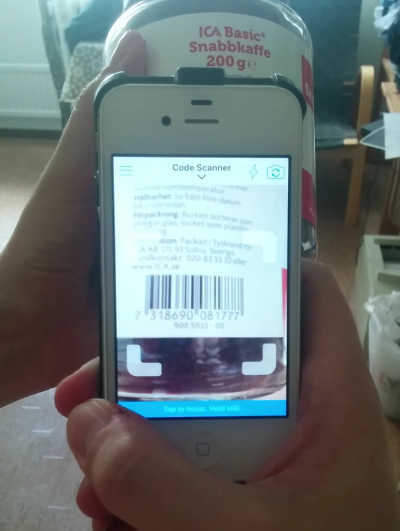 A Barcode-Scanner-App (or a custom shopper-app) which means that shoppers can scan the products, and can already in the store read this information. Using Mediawiki (which is used for wikipedia etc) for the wiki software. The idea is that the scanner-app scans the code, say 123456789, the app adds it a url to something like http://wikiproductia.org/123456789 and opens it in a browser. 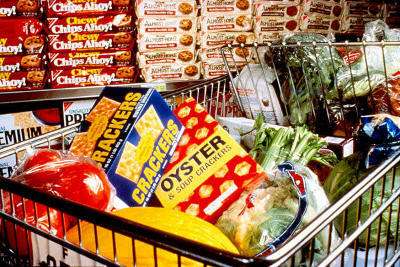 When finished reading the shopper hits the back button and can immediately scan the next item. The drawback with a stock scanner is that they aren't as streamlined as they could be. The shopper has to enter the url in the settings, and they offers lots of other functionality and buttons that I see a small risk of confusion, errors and frustration among new users. If one's going to develop a custom app, I searched for "android barcode scanner library" and "iphone barcode scanner library" and there are several "programming libraries" that seem well embraced. 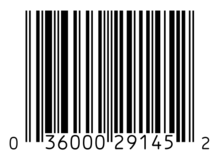 After a little bit of research: barcode_scanner_web_app, I've unfortunately found that the technology isn't mature yet (as of September 2015). The problem is that on most devices the camera would only work with fixed focus (not auto focus which is needed at close range). I have no experience with iPhone apps and only very little experience of Android apps so I don't intend to commit myself there. Someone might say that lobbyists might take over the wiki-site, but then anyone can set up a new wiki-site and copy the content, and the shoppers can switch to whichever wiki they trust the most. http://www.codecheck.info A (german only) site for checking products with a custom scanner app, however it is not a wiki. http://www.wikifood.eu A similar project from what it seems.